You are here: Home / Newsletter Archives / Legacy Loyalty Rewards- Earn Points With Every Purchase! WHAT IS LEGACY LOYALTY REWARDS? What you order and earn points on today can be used tomorrow if you choose. No product or sale exclusions. 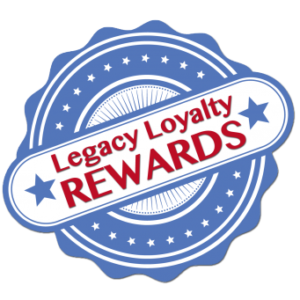 Our Legacy Loyalty Rewards is our way of rewarding your friendship and loyalty. You are the reason American Legacy Fishing & Outdoors is here. We’re all about you and want to thank you for your continued support. Anytime you place an order you will be given a chance to redeem your any amount of your accumulated points, or to continue to accumulate more points for future purchases. * Please note that orders placed through EBay or Amazon are not eligible for points. All other orders are. 100 points are worth $1. 1,000 points are worth $10. 10,000 points are worth $100, etc. Many items will have bonus points so you can quickly accumulate even more points. 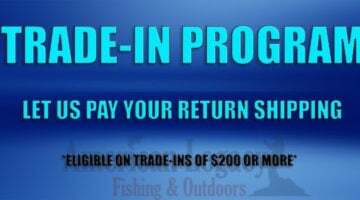 As a Legacy Loyalty Rewards Member you will also be eligible for Exclusive Special Offers from American Fishing & Outdoors, which will earn you even more points!